Northeast Orthopedics and Sports Medicine, PLLC (Airmont) - Book Appointment Online! 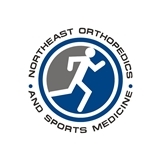 Northeast Orthopedics and Sports Medicine provides all patients with the highest level of orthopedic care. NEOSM physicians are Board Certified, highly-skilled surgeons. At NEOSM, we care for children and adults of all ages with a variety of musculoskeletal injuries and conditions. We provide specialty in hand surgery, sport medicine, shoulder surgery, elbow surgery, spine surgery, pediatric orthopedics, arthroscopy, joint replacement and trauma care. We are national recognized, lecture national meetings and regularly attend scientific conferences. In addition, our cordial professional staff is known for exceptional service.